Their paths to events vary, but they all share that collective spark—that “…and I was hooked” moment. In our fourth annual showcase of the b-to-b event marketers we’d pick for our “dream” brand marketing department, we uncover why it’s such an exciting time to be on the business side of the event industry. Because what was once a linear b-to-b formula is now a more nuanced recipe. B-to-b audiences are growing and evolving. They’re becoming more global, more varied and more consumer-centric. If anyone is up for the challenge of satisfying objectives amid the complexities of the modern business world, it’s this crop. Nicola Kastner, senior director, global event strategy SAP, calls it the “consumerism” of b-to-b. “Due to the new ways customers and businesses interact, brands are no longer judged solely on the quality of their products or services, but on the values they champion and, as marketers, our tactics need to change to reflect that accordingly,” she says. For Sprint’s director-experiential marketing John Heiman, this means doing “fewer and fewer trade shows in favor of invitation-only events that we control.” And it also means that the “silo’d approach” to organizations is officially old news, replaced by a collaborative blend of disciplines, something Alcon global conventions manager Erin Moore’s team has strived for, being “in constant communication with stakeholders, everyone in marketing communications and the meetings team and the business side, making sure that everyone is on the same page.” That alignment just might help b-to-b marketers in their storied pursuit of meaningful ROI, where event data flows across all business units to form a larger picture of marketing effectiveness. “It’s something we’re pushing on our team to embrace across all levels of the organization more, to start with the questions and the data, and look at the insights that it gives us about our attendees,” Kastner says. 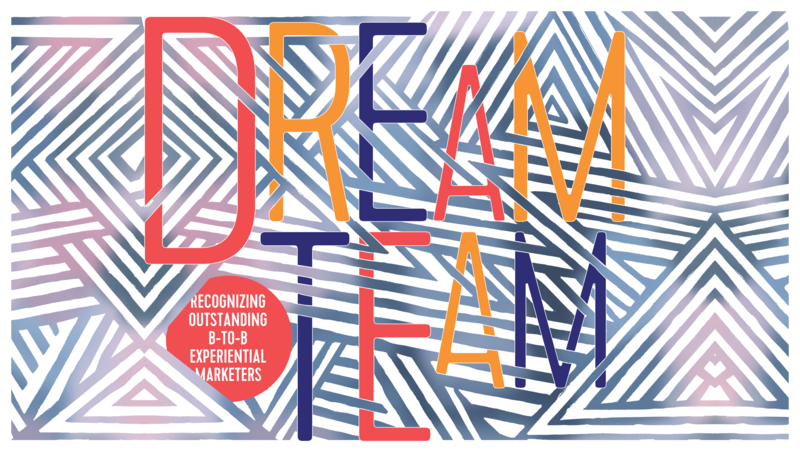 Join us as we sit down with these marketers and more—our 2019 B-to-B Dream Team—to talk about their career paths, strategies their teams are leaning into and what’s in store for the industry. Congratulations to this year’s team, once again produced in conjunction with Freeman. Microsoft’s exhibits present solutions through the voice of customers or partners. WHY WE WANT HIM: For his critical eye and passion for storytelling, and ability to rethink and reinvent an entire event portfolio, as he has for Microsoft’s third party events. As the son of a restaurateur, you might say service is in Emmanuel Gotsis’ genes. “I started out washing dishes when I was 12,” Gotsis explains. “My dad’s from Greece, and Greeks have restaurants.” As a young man, he worked in restaurants in a number of capacities, from back of the house to front of the house. After rising through the ranks in fine dining while attending Loyola University in Chicago, he would eventually manage Wolfgang Puck’s Spago restaurant, where he got his first taste of event management. Since then, his roles have included senior manager of global events for Apple, including serving as executive producer for Steve Jobs at keynote events and for major Apple product launches like the launch of the iPod and iTunes. He managed global event marketing strategy for Dell global business units and brand and marketing strategy at PayPal. Two years ago, he took on the role of director-global third party events at Microsoft. His team, led by Bob Bejan, head of global events, production studios and marketing community, is part of the central corporate events function at Microsoft, which reports to the cmo. Gotsis was tasked with reinventing Microsoft’s third-party events portfolio, which includes events across industries, from thought leadership events to developer events to startup-focused events. This effort included developing a comprehensive portfolio plan, determining Microsoft’s level of participation in events, identifying budget efficiencies, and creating a design language that translates across all Microsoft businesses to align with the new company branding. Over the course of his career, Gotsis has witnessed the natural life-cycle or “arch” of trending events, so he and his team seek out events that are “on the uptick.” The portfolio reinvention involves pivoting investments toward events like Web Summit and Viva Tech, and toward opportunities to change audience perception. “Some attendees, especially younger audiences, may have a different perception of Microsoft than is the reality. That understanding helps shape our narrative at events,” says Gotsis. “We go beyond traditional showcases and demonstrations and produce exhibits and speaking engagements on topics around ethics in artificial intelligence and how technology is enabling advancements to fight climate change and how our products are designed to be more inclusive and accessible. We talk about diversity and inclusion. Those messages and initiatives are not only very important to the company, but we find they’re also very important, and resonate better, with our audiences than going in and talking simply about tech solutions. His team has also shifted away from exhibiting at trade shows in the traditional sense, instead focusing on creating industry-relevant experience design. Part of this approach is one “bound in product truth,” he says, where solutions are presented through the voice of the customer or a partner telling the story through a business use case, and what the outcomes were. And with a call to “empower local,” the team ensures that assets developed by the global organization, like creative work and signage for tier one events, are leveraged across Microsoft’s business landscape, so subsidiaries in regions across the globe can execute a consistent look and feel while localizing the content to their specific markets. Like many marketers, Gotsis’ biggest challenge is tracking the life cycle of the lead. It’s a tough nut to crack in an industry where a sales cycle can take two years to complete, across multiple touchpoints. But perhaps a more pressing issue for Gotsis surrounds the next generation, and educating young people about maneuvering in marketing at large organizations and about the role of events as a strategic component of marketing. We’ll play on his team. WHY WE WANT HIM: His robust background in product strategy gives him a unique perspective on the customer and attendee experience, one that has helped catapult MobileIron in the tech space. When Ojas Rege joined MobileIron 10 years ago, the business community was just beginning to embrace the idea that mobile, the iPhone, for instance, would be as useful for business people as it was for consumers enjoying it at the time. A startup with a dozen employees then, MobileIron began developing what would become the framework for cloud services and mobile experiences to help business people work on mobile better. Rege was in charge of everything not related to finance or engineering, and that meant developing a customer engagement strategy. So, 18 months in, MobileIron launched MobileIron LIVE, a now annual conference for IT professionals designed to help them get more value and better usage out of the mobile security platform. Though he has worn many hats at MobileIron, including serving as cmo, Rege, now chief strategy officer, focuses on evangelism and deepening relationships with the company’s most innovative customers. Once a traditional convention center event, the brand shook up the format in 2018—and the b-to-b space along with it—with an unconventional and intimate approach: a roadshow that activated in three beautiful homes in regions with concentrations of customers. Breakouts took place in master suites, branded rubber duckies floated in luxurious tubs, a keynote took place poolside. Partners activated in grand foyers and spacious garage zones. It was just the sort of unexpected experience its customers crave. “They’re gadget geeks, and they understand how important things like user experience are, and they hate marketing. They absolutely detest being pitched to,” Rege says. Rege’s strategic mindset stems from his long career as a product manager, which included a tenure at Oracle and Yahoo!, and a guiding principle of “working on things that change human behavior and seeing people do something differently as a result,” he says. Over a third of his time is now spent out in the field interacting with customers, ultimately, through events, which is something all marketers need to do more, he says. Spoken like a true evangelist. MobileIron LIVE made headlines when Rege’s team moved the show out of the convention center and into three beautiful mansions. Kastner’s team is behind an epic transformation of SAPPHIRE NOW from a product-led event to one that is customer-business-outcome driven. WHY WE WANT HER: Her team developed and pitched (successfully) a seismic transformation of SAPPHIRE NOW, a content-first shift that will ripple across the company’s entire ecosystem. Nicola Kastner knows a thing or two about the efficacy of events. Amid a two-decade career working on the agency side, she attended a session at the MPI World Education Conference in her home city of Toronto that would change the course of her career as she knew it. “I took a session focused on event marketing strategy, and it was this light bulb moment for me where I realized there was a whole different side to events—one that was data driven and strategic in nature, versus logistics,” Kastner says. Armed with that mindset, she launched her own event marketing consulting practice in 2012, taking on client SAP, and working for the company in Latin America on strategic initiatives before joining SAP on a full-time basis nearly three years ago. Kastner works within the SAP Global Events Organization in a role created by the cmo focused on ensuring that the company’s tier one events portfolio and proprietary portfolios are as effective as possible. The global events team is responsible for 30 of SAP’s most important events each year. These range from corporate-wide proprietary events like SAPPHIRE NOW and TechEd to stand-alone proprietary events from SAP’s acquired brands such as SAP Ariba Live, or SuccessConnect. The team is also responsible for internal event delivery such as sales kick-off meetings along with its largest third party event presence at events such as MWC or SXSW. Kastner’s team has begun the implementation of a complete transformation of SAPPHIRE NOW, part of a multi-year journey for SAP’s entire portfolio that shifts the focus from it being a product-led event to one that is customer-business-outcome driven. “What is most rewarding about this is that it is a content-led approach that connects to every other content experience we are creating throughout the year, so SAPPHIRE NOW becomes one touchpoint in a connected series and eliminates the random content moments that often happen with events,” she says. It’s a strategy developed in partnership with her colleague Johann Wrede, who leads content marketing at SAP, and one that is helping break down the traditional “silos” within marketing and communications organizations, bringing two key components of the business together in a powerful way, she says. Calling it a lighthouse moment for SAP, she says, “If we can do it there, then it cascades out to so many other places as well.” And it ensures events are integrated into the rest of the marketing mix. A dream certainly for Kastner, and for the modern event marketer as well. WHY WE WANT HIM: He has flipped the paradigm on the way a telecomm brand activates in the b-to-b space and embraces experiential assets that are reusable across brand engagement opportunities. Several years ago, John Heiman’s team made a bold decision. They recycled all of their modular trade show booths that bounced from one event to the next in favor of customized experiences built to fit the goals of each event. That move followed a careful audit and transition from doing around 80 big shows per year with trade show booths that were “durable, but boring,” Heiman says, to a handful of large events that Sprint now shows up at in custom, goal-driven fashion. Heiman, a 32-year veteran of Sprint, took over the events group 10 years ago, and he applied his background at the company in both sponsorships and sports marketing to their programs—looking at customers as fans. Sprint challenged the status quo, and the competition, with its MWC Los Angeles booth in September, where it created an inviting park setting, complete with artificial turf, lemon trees, a park bench and a 20-foot by 15-foot live succulent wall. Quite the departure from the norm for a telecomm brand. It all helped demonstrate that Sprint’s 5G network can be used anywhere, a key differentiator from the competition. For Sprint, customization doesn’t mean successful interactives are a one-and-done deal. Touchpoints Sprint develops are often transported and installed at one of the brand’s successful corporate briefing centers. “The customization, if done well, can have a longer life,” Heiman says, adding that the briefing centers have also become a key strategic element in the event cycle. “From the briefing centers, we’re able to understand what the hot topics are, what the popular solutions are, and we essentially do these mini trials in the center that we can package up and take to the shows,” he says. Heiman has had a variety of marketing roles throughout his tenure. In 2008, he was assigned to the corporate events team and now, as director of experiential marketing, oversees a variety of b-to-b event programs including corporate events, trade shows and the executive briefing centers. He’s observed a major shift in audiences as technology has become widespread and spans industries, which is guiding Sprint’s event strategies. “Historically, we may have talked to the cto or cio, but what we’re seeing now is that we might have somebody out of marketing, or human resources, or freight management—virtually, anyone from any organization’s department may be an influencer, or may be a decision-maker—so we have to be prepared to speak their language when introducing them to our industry-specific solutions,” Heiman says. We hear it, loud and clear. Sprint challenged the status quo among telecomms for its booth at MWC Los Angeles with an inviting park setting. WHY WE WANT HER: She’s a tried and true brand evangelist for Salesforce, understanding the importance of company values and culture to win over the next generation of event attendees. As an art history major, Karin Flores thought she’d work in museums her whole life. But a first job at an agency in San Francisco working on trade shows lured her into the events world. It was when she began work on events for Salesforce that she fell in love with the company and its “Ohana” culture (Hawaiian for “the family you choose”). She made the leap to the client side, and has been running marketing strategy and events for Salesforce for the past nine years. Under Flores’ tutelage are teams that work on proprietary events, like Dreamforce and Connections; third party events, like TrailheaDX for the developer community; and corporate sponsorships. Leveraging Salesforce tools, naturally, the teams examine data closely, identifying areas of growth among certain audiences to then grow their footprint at those events. “Salesforce is a very event-driven company, and we take that philosophy and apply it to different marketing tactics, and corporate sponsorships is one of those areas where we do that, where we take the experience and storytelling and bring it to life in different avenues,” Flores says. This may mean activating in an unexpected channel, like its partnership with Live Nation on festival programs and activations, including Lollapalooza, where Salesforce can interact directly with consumers—an important piece of the puzzle for Flores, because, as she puts it, the b-to-b landscape is very much b-to-b-to-c now. It may also mean activating a “nimble,” wild idea, like one two years ago during Dreamforce, when Sonoma County faced devastating wildfires. In the wake of Dreamfest at AT&T Park in San Francisco, Salesforce left its stage up, brought together business leaders and hosted a benefit concert with big names in music—with all proceeds going toward fire relief. Salesforce’s famous and progressive corporate culture infiltrates its entire b-to-b event program as key touchpoints to engage and win over customers and attendees. Several years ago, the company launched the Salesforce Equality Awards, a one-day customer event that honors leaders in equality. “It helps showcase what separates Salesforce, what makes us special and it brings our values to life,” Flores says. The Salesforce Ohana groups help guide an inclusive event program, with Abilityforce, Boldforce and other groups who provide guidance on the needs of different audiences. WHY WE WANT HER: Her engineering background has helped Alcon activate a strategic framework of exhibits that have elevated the brand to the top of its network of eye care solutions. Erin Moore’s journey to events began with rockets and jets. With a degree in mathematics, she worked at Lockheed Martin in procurement, later transitioning into engineering and interacting with customers—a part of the job she grew to enjoy most. So, “on a lark,” she applied as a global conventions manager at eye care medical company Alcon, a homegrown Fort Worth-based company owned by Novartis. As a Fort Worth native, herself, it was a match. That passion for innovation, building and numbers has come in handy as Moore has propelled Alcon’s exhibit program in the healthcare space. Her team has embraced the business directive to promote Alcon as a branded house, rather than a house of brands. She is among a team of eight, with meetings and convention planners underneath her, and together, they execute upwards of 500 shows a year, ensuring that Alcon has consistent messaging across the landscape. These range from activating at American Society of Cataract & Refractive Surgeons to introducing Alcon’s core solutions portfolio to visitors at private NYSE and London Stock Exchange events. And it involves table-tops on up to 100-foot by 120-foot mega exhibits. And it’s what helps her team rise to the challenge of promoting solutions that are so micro or so large in scale, they can’t be appropriately activated at a show. Moore’s team leans heavily on storytelling, like incorporating award-winning gesture-based virtual reality experiences that give attendees a firsthand look at Alcon innovations. Or, incorporating show-stopping installations, like one recently used to introduce Alcon’s tiny, new intraocular lens by creating the “IOL Chandelier,” with the lenses trickling down like a waterfall. Moore is excited about technologies like VR, and in-booth features like light boxes and video walls. But she says nothing can beat the visceral nature of experiential opportunities in the healthcare space, like the first time she witnessed an Alcon live surgery at its biggest show of the year, American Academy of Ophthalmology. Alcon brings a creative edge to healthcare conventions, like an “IOL Chandelier” installation featuring lenses trickling down like a waterfall. Hutchison and her team are developing long-term strategies for Zillow’s growing events. WHY WE WANT HER: She is firmly planting an experiential strategy within Zillow Group’s fast-growing b-to-b events program, ensuring there is a consistent thread of messaging across the portfolio. It’s not often someone can say they’ve moved mountains before. But that’s just the sort of sky-is-the-limit thinking Courtney Hutchison brings to her work at Zillow Group as director of experiential marketing. After working production on entertainment properties like the Oscars, Hutchison helped manage logistics on two Olympics, including the Vancouver Winter Olympic Games, which in 2010, faced a big problem: no snow. Her team helped manage a 24-hour operation that involved trucking in hay barrels and scheduling helicopter deliveries of snow to build a halfpipe and moguls. “I was driving a forklift unloading hay bales for four hours while we didn’t have an operator, and then on the radio with helicopter comms teams telling our sports production team where they were flying in snow—crazy, but it happened,” Hutchison says. That “do whatever it takes” attitude would lead her to activate events for Tough Mudder, and, ultimately, get her hired by real estate media company Zillow in 2017 to help invigorate the growing brand’s events and work among content, design and event management teams to develop and lead long-term planning cycles and strategy. Hutchison works alongside her “other half,” Toddy Dyre, director of events, whose team focuses on event logistics. Together, their teams manage 300 events a year that Zillow either owns or activates at, a dozen of which are Zillow forums. These forums include everything from internal leadership off-sites with senior directors and top brass, to external events for the brand’s various businesses. One of those events is Zillow’s largest external event, Premier Agent Forum for real estate professionals, which has quadrupled in six years to 2,000 attendees. “It’s evolved from offering business updates and some light networking into full workshops and breakout tracks, experiential hubs, evening events, fitness offerings—the whole gamut of what conferences have become in this world,” she says. Hutchison’s team has taken a lead role in transforming one of Zillow’s largest internal events, the All Company Forum, that began as a basic annual meeting and evolved into a three-day conference in 2017 called ZG Week. There are dedicated content tracks, keynotes, maker spaces, learning labs with drop-in content; and a favorite, the ZG ping-pong tournament. Like facing that snowless mountain, Hutchison knows the importance of teamwork and in integrating teams and key stakeholders better to strengthen events in the b-to-b space. “It’s about bringing cohesion and that thread through everything we’re doing from a programming perspective to the very first email at the beginning of an attendee journey, and developing a framework for how we’re going to make decisions—and then, bringing together internal events teams and stakeholders to advocate for our audience,” she says. A mindset worth the grade. WHY WE WANT HIM: He produced Google’s headline-making presence at CES, managing teams that this year developed a decidedly consumer-centric theme park “ride” for the booth in Las Vegas. Andrew Rossi’s career began on the agency side at M Booth, where he spent over 10 years in p.r. and marketing, eventually serving as a senior vp, working on a variety of consumer brands, ranging from Scotch whisky to butter to credit cards to tourist destinations. When an opportunity came knocking at Google five years ago, he made the leap over to the client side—and into the Silicon Valley tech world. As business lead on Google events and experiences, Rossi’s team activates a roster of large events per year, including Google customer events and internal events like Zeitgeist and, soon, Google I/O. For the past two years, he’s been able to tap into his consumer events background as Google leaned heavily on experiential for the brand’s major return to CES with the Google Playground in 2018. The CES case study reflects a larger mantra among the event teams at Google to not rely on something year-over-year simply because it’s working. “What has been intriguing for us is how often we have to say, ‘OK, the way we’re structuring a conference or this content seems to be working but with a little bit of a diminishing return,’ so we are rethinking the applied paradigms to shake things up,” Rossi says. One way Rossi sees brands shaking things up in the b-to-b space is by embracing inclusiveness and thoughtfulness. He recently attended a Google event outside his purview where the food locations were set up to be friendly for diabetics. “This was really fascinating to me, because I’ve been a diabetic for 25 years, and I’ve never once thought about setting it up this way and it gave me this feeling of excitement and a sense of representation,” Rossi says. His background in communications serves him well at Google, where projects are often divided across offices and cities and sometimes involve collaborating with people for the first time. A best practice for his team involves more talking than emailing, which results in less lost in translation and more togetherness. And we think that’s a point well made. Google’s 2019 CES presence included a theme park-style experience that was the talk of the annual show. At Cisco Live, Nakamura&apos;s teams built out a partner “destination” center that included lounge spaces and built-in bars. WHY WE WANT HER: She is reimagining traditional b-to-b partner sponsorships for Cisco Live, ensuring that “exhibit halls” are, instead, relevant, engaging networking zones. Gretchen Nakamura’s path to events began in hospitality management, where she managed catering at the Dallas Convention Center and Il Fornaio restaurant company. Those experiences led to roles in corporate event planning, including working as partner engagement manager in the CRM division at PeopleSoft, before she joined Cisco as partner sponsorship engagement manager for Cisco Live U.S. and the Cisco Live events globally. Cisco is embracing a larger industry trend of providing customized sponsorship packages versus those “off the shelf.” Her team works closely with sponsors to understand their strategy and objectives, whether it be a focus on thought leadership, or engagement with c-level attendees. Understanding the goals of partners deeply and keeping on top of that as a company helps Cisco then manage the challenge of measuring sponsorship impact, because the sales cycle is long and the partner ecosystem, and the relationships with partners, can evolve. One of those ideas took place at a recent show in the World of Solutions expo hall at Cisco Live, where her teams built out a partner visitor or “destination” center that included lounge spaces and built-in bars for espresso or beer in an environment conducive of casual conversation and connection with customers. Another strategy involved a park setting built for sponsors into the show floor with yard games and outdoor seating. Nakamura would like the industry to do less “calling out” of sponsors, in favor of more organic activities between partners and customers that deliver the same result in a less formal manner. She also sees partner activity as more of an exercise in networking, delivering content in new and exciting ways that bring partners and customers together, but maybe also, partners and partners together. “Trade shows have been kind of the same for 30 years, so how can we flip it on its head and look at it in a different way, and how do we live our lives every day, you know, walking down the street, getting a cup of coffee—how do we connect with people?” she says. We’re betting she has a pretty good idea. WHY WE WANT HER: She is championing a culture of style and inclusivity among GitHub’s unique b-to-b programming, one that helped the company double partner revenue in one year. Bay Area native Kelsey Schimmelman began her career like many college grads in that market—at a tech company, working as a marketing intern in a role that made her dream of getting back to her piece of short fiction when she finally got off the clock. But then things changed. She jumped aboard in 2014 and helped create and launch GitHub’s flagship user conference, GitHub Universe, which will celebrate its fifth year at the Palace of Fine Arts this November. Her team also produces GitHub Satellite, the regional extension of Universe, that activates for 1,000 attendees globally, including in Amsterdam, London and Tokyo. It heads to Berlin this May. That style crosses over into Universe’s exhibit program, where sponsors take some unconventional approaches. Like Sider, which brought to the show the message that “more time saved is more time to play” by creating an over-sized child’s room exhibit complete with a 10-foot-tall teddy bear, giant rocking horse, and toy chest with swag inside (that emitted the sound of a choir of angels when opened). Another sponsor, Sentry, created a “whac-a-fire” installation, a nod to the classic arcade game, that helped explain how its solution spots security bugs, so they can be fixed quickly. Anticipating attendee needs is another way GitHub events stand out in the space. GitHub Universe this year offered parent rooms, child play areas, service pet accommodations, prayer and meditation rooms (that doubled as an escape for those overwhelmed by social interaction) and gender-neutral bathrooms. Attendees were offered preferred pronoun stickers at registration, as well.